tilden talks...: 55 Words About the Good Old Summertime! Oh that's funny! Thanks for sharing and linking up! Nah. Cake is over rated. 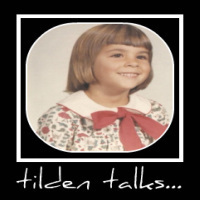 I hope you taught the boy how to ask for things without saying, "Tilden said ...!" Funny, the things we learn and the things we don't! I enjoyed this! Funny, the lessons we learn, and the ones we don't! Cake would be my best reinforcer. Have you sent anyone to fetch you cake lately? If not, yes you learned! It is twice as good.